International and X-border e-Commerce - expert consulting from Chris Jones. Experience. 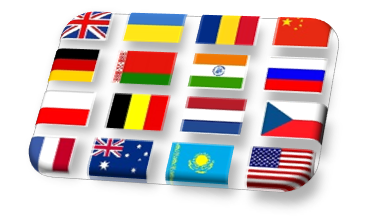 I’ve done eCommerce client-engagements onsite in 16 countries. I also took a leading fashion brand international, establishing and managing localised sites, and creating a roadmap and blueprint for further expansion. Knowledge. 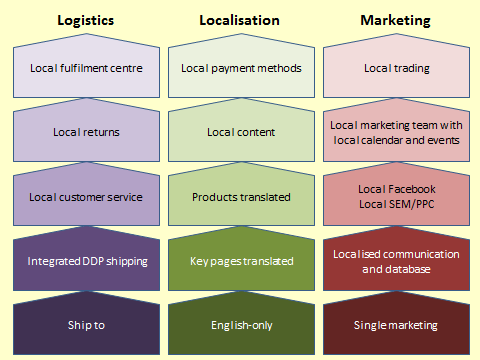 There’s a lot to consider, including marketplaces, translation, product-range, search, marketing, domain-naming, hosting, legal issues, payment methods, financial complexities, shipping, customs duties and much more. I’ve had a detailed 48 page guide to going international published, but even 48 pages is only a starting point. If you’re reading this page at all, you’re probably looking for information in this area. Why not pick up the phone and get that information first hand? It helps my SEO-ranking to list the countries I’ve done onsite engagements in, so here they are: UK, USA, Australia, Germany, France, Netherlands, Belgium, Czech Republic, Romania, Poland, Ukraine, Belarus, Kazakhstan, Russia, India and China. Although I'm based in the UK, for many years much of my business has come from non-UK clients. So if you are reading this from outside the UK, you are very welcome and I'd be delighted to talk to you!